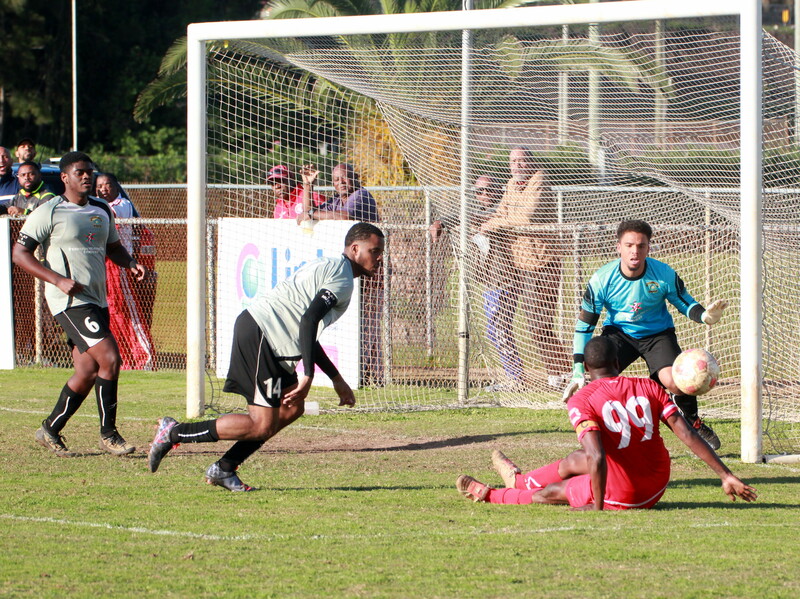 After a scoreless first half of this Premier Division match at the Bernard Park between the North Village Rams and the PHC Zebras, saw the league leaders PHC Zebras come away with a 2 – 0 win. The first half saw the PHC Zebras control the tempo and create several chances, but thanks to some good saves from Tahj Bell in goal for the North Village Rams and some poor finishing from the PHC Zebras players the teams went to the break 0 – 0. PHC Zebras captain Cecoy Robinson would open the scoring with a strike from inside the box in the 76th minute, before Marco Warren doubled the lead in the 84th minute to earn the PHC Zebras the win and now they have a six point lead over Robin Hood at the top of the table. Young Men Social Club put the brakes on Wolves moving up the standings in the First Division when they recorded a 1 – 0 win at the Police Field. The only goal of this game came in the 54th minute when Makai Young scored.